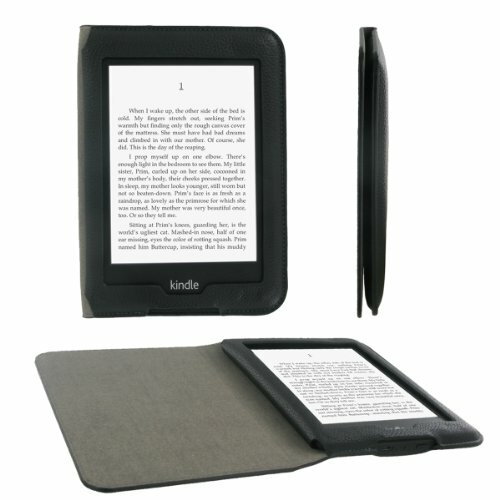 1 What is a Kindle Paperwhite Case? 2 What is The Most Popular Paperwhite Case then? 3 What are the 4 Pertinent Reasons to Purchase? 3.1 What to Consider When Purchasing a Case? 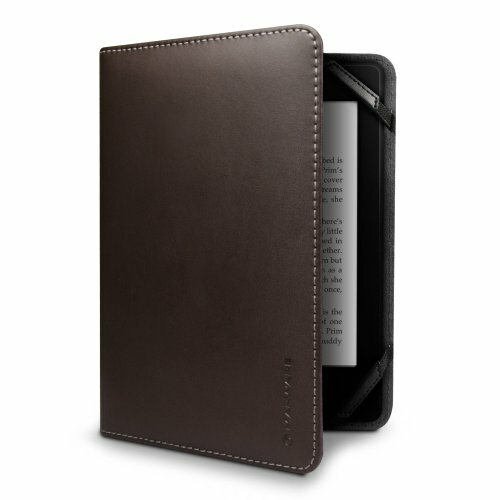 For the tablet owner seeking only the finest quality case, the leather case is the right choice. This natural material is perfect for the professional setting and for someone desiring longevity in a case. This case only weighs 5.6 ounces and is at the higher end of the price range at $39.99. The inside of the case is padded for extra scratch protection. The outside leather feel is very soft in the hands, good for gripping, and quite enjoyable to hold for long periods of time. The high quality material is still very thin for purposes of convenience. The leather case is available in 7 different colors. This high end case offers the wake/sleep feature when case is opened or closed and a magnetic clasp to ensure your case is securely closed. This is the thinnest, lightest, and most inexpensive leather option. This cover looks very official, yet is offered at only $19.99! The cover folds back completely for a one-hand reading experience weighing only 3.36 ounces. The texture has a rougher feel for great gripping and shows no scratches. The cover latches magnetically and also features the wake/sleep capability upon opening and closing the case. 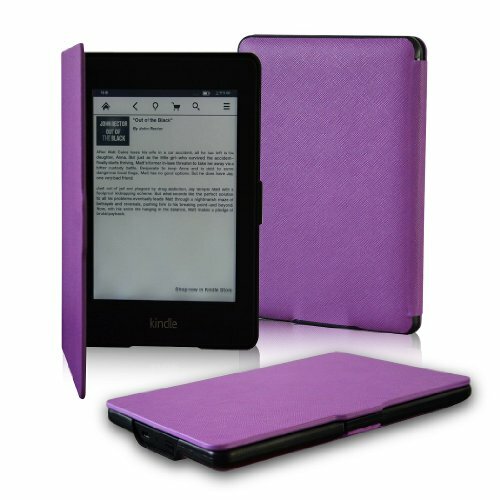 Available in black, dark blue, mint green, and purple, this cover is great for the price! This ultra slim case has a pebble-grain texture made with premium synthetic leather at a weight of only 4.6 ounces. The non-scratch interior is great protection for the tablet. The wake/sleep feature upon opening and closing is another added convenience. All ports and controls are easily accessed with this case, and the magnetic closure secures the device inside. Starting at just under $12.00, this is a great option for someone desiring a less expensive case yet still a highly protective product. This is a simple and stylish case starting at only $11.99! With 15 color options, a poly-synthetic leather exterior, and non-scratch microfiber interior, this cover is a great buy! It is also a great option at only 3.8 ounces, so it will feel very slim and lightweight in your hand. This has a folding cover that also features the wake/sleep function when opening or closing the case. The magnetic closure also ensures safe-keeping. This case allows easy access to all features and controls, and the device can be charged while the case is closed. 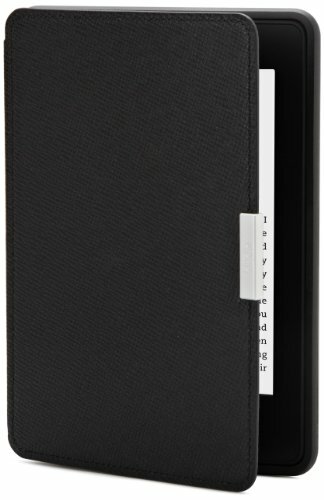 This case is a book style case that can be found for prices ranging anywhere from $3.99 to $17.99. This is a very durable synthetic leather exterior and a soft interior. Once open, you can insert the tablet into the interior pocket, using a Velcro flap to secure the device into place. At only 2.9 ounces and in over 30 colors, this case is great for kids or anyone desiring a fun and inexpensive case. 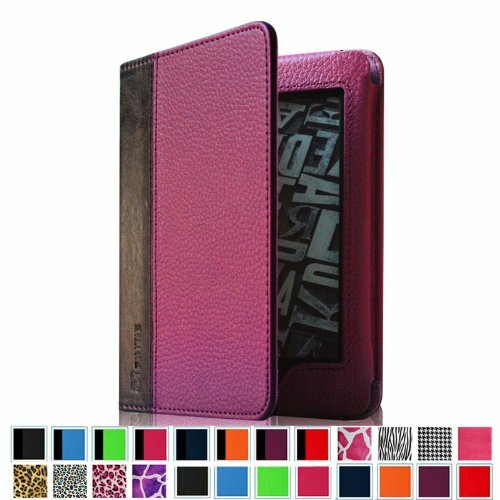 This case is also made of genuine leather, available in black, brown, and pink. However, this case is less expensive and offers a multifunctional purpose. The thin, interior pocket can be used to carry an ID, cash, or credit cards. A high grade elastic strap secures the cover closed or open for your convenience. The microsuede interior is an added benefit to protecting the screen. And, the outside hand strap is excellent for one-handed reading. This case is lighter than the premium case at only 4.5 ounces and offered at only $25.00 – Claim your $10 off here. What are the 4 Pertinent Reasons to Purchase? – Protection: Your precious tablet needs a buffer from the world. Keep it safe inside a case! – Professionalism: Tablets are great for the workplace, and a neutral-colored leather or near-leather case exudes the high class professional appearance a hard-worker would want. – Pride: Show a little self-expression with your unique case. By choosing a creative color or style, onlookers will gain a sense of your personality and preferences. – Practicality: The numerous features offered in each case offer so much more convenience for your life. What to Consider When Purchasing a Case? Are you using the tablet mainly for traditional work purposes? Then make sure to purchase a very professional-looking cover. If you are mainly using the device at home, have some fun and choose a more self-expressing cover. If price isn’t an issue, then the sky is the limit. If you are restricted by your budget, there are still so many available options to meet your needs. Synthetic leather options still look great and are very durable for protecting your tablet. When choosing your tablet cover, make sure you weigh the pros and cons of all the features included in each case. Try to purchase the one that best meets your needs. Make sure your cover matches your unique style. Do you prefer the professional appearance of natural premium leather, or would you feel better about the animal-friendly synthetics? Do you like the modern flip cover style, or are you into the “old-school” book cover look? There are covers to match every fashion statement you want to make! The surfaces of the natural leather covers have excellent soft-gripping textures, while the synthetics can come in grainy and smooth textures. For the tablet user on the go, the texture needs to be comfortable for long hours of work and play. Be sure to pick your favorite finger-friendly feel! There are so many colors to choose from for your Kindle Case! While all cases come in a variety of colors, the Fintie Folio and MoKo Covers offer the largest variety of prints and patterns. There are many playful color palettes or subdued hues. Express your wild side with ultra-modern zebra stripes and hot colors, or express your more sophisticated side with neutral shades and even vintage colors. What is your favorite color for your Paperwhite cover? Now that you have all the facts, options, and information, you are ready to make a smart purchase. 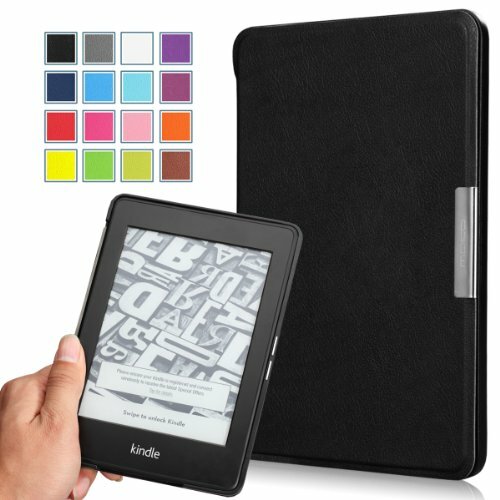 Thankfully, by making the decision to buy one of these fantastic Kindle Paperwhite cases, you can also take advantage of the Paperwhite Cover Discounts reducing your costs even more!